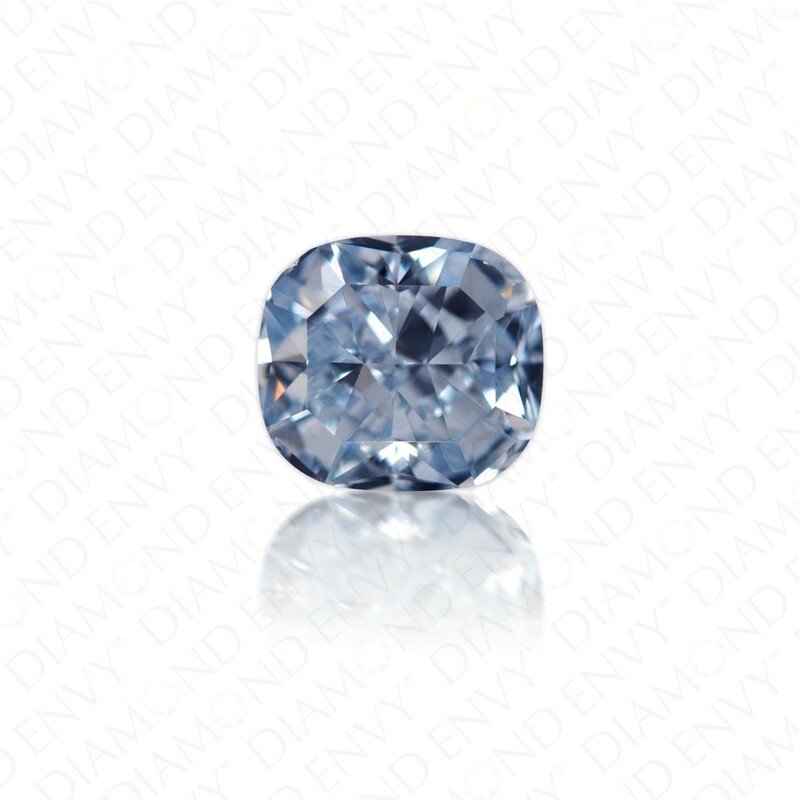 An exquisite cool blue denim hue is brought to perfection by nature in this 1.07 carat SI1 cushion cut Natural Fancy Intense Blue diamond. Radiant brilliance and fire animate the comely cushion cut diamond. An elongated cushion cut, this Fancy Intense Blue diamond was made to sit in the center of a ring or pendant. Its rich blue color is a true blue that lacks any grey tones. At 1.07 carats, it is just the right size for capturing the attention of others, which it is very sure to do. The saturated color of this Fancy Intense Blue diamond is rare and difficult to find, particularly in this size. Diamonds represent eternal love and strength. Give the gift of this stunning diamond to your loved one and she will certainly appreciate and cherish your one-of-a-kind gift for many years to come. GIA-certified.